In just the past few years, the United States has begun to provide the country’s youngest students with access to early education programs — and it’s an effort that couldn’t come soon enough. The benefits of early childhood education are clear. In a recent study, the Urban Child Institute found that pre-K not only improves children’s readiness for kindergarten, vocabulary, and reading skills, but can change the course of their entire future. Children who attend pre-K are far more likely to graduate from high school and more than twice as likely to attend a four-year college. They even have a better chance of owning a home. 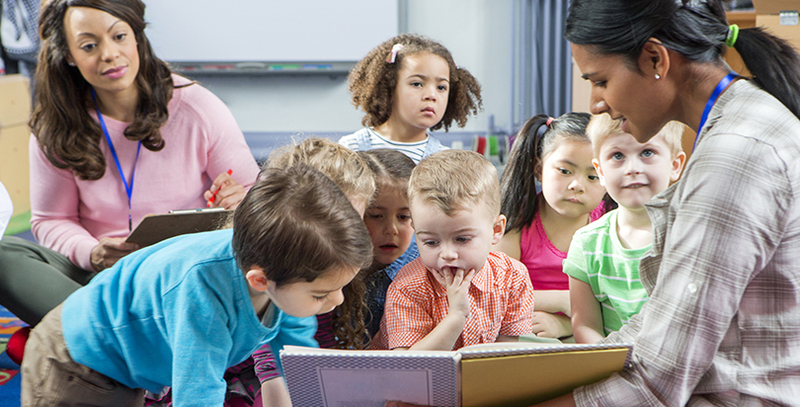 Twelve U.S. cities have taken up the cause of guaranteeing universal pre-K for families. New York City has led the way with tremendous success, providing free, full-day seats to more than 70,000 4-year-olds in all five boroughs. But as this movement grows — and as more cities hopefully sign on to this vision — it’s critical that we take another important step: ensuring that the curriculum provided in pre-K will offer the best platform for our children’s future achievement. For that, our cities must look to the Early Years Foundation Stage (EYFS), the early childhood education standards that have been implemented across my home country of England. EYFS takes a more integrated approach to education than traditional American pre-K, with a greater emphasis on play, exploration, and discovery both inside and outside, allowing little learners to become creative and critical thinkers, acquire vital, traditional skills, and become effective, confident communicators. Personal, social, and emotional development: Children experience opportunities and activities that make them feel valued, promoting both a strong self-image and self-esteem. They gain an understanding of right and wrong, and learn to build relationships with adults and other children. There is a strong emphasis on good manners, sharing fairly, taking turns, and expressing emotions clearly and appropriately. Physical development: Children’s physical growth contributes to all other aspects of their development, as they need to be active in order to develop many fundamental skills. This growth is enabled through large and fine motor activities — running, walking, jumping, climbing, and dancing, as well as cutting, threading, and sticking. Communication and language: Children are encouraged to communicate in a language-rich environment and are given support to gain confidence and practice in speaking, listening, and responding appropriately. Writing is also taught through a wide range of experiences, including corn flour, paint, sand, and more formal materials. Literacy: Children refine their speaking and listening skills by linking sounds with letters and eventually reading. They are also given access to a wide range of reading materials — books, poems, and other resources — in order to ignite their interest. Mathematical development: Children sing songs and complete practical activities to gain an understanding of counting, number recognition, and the mathematical language needed to solve simple problems. Understanding the world: This involves guiding children to make sense of their physical world and their community. They begin to make decisions, experiment, plan, and question, and are encouraged to care about their environment and the world we live in. The children become more aware of the cultures and beliefs of other people around the world and find out about past and present events through discussion. Expressive arts and design: Expression and creativity enable children to make connections between one area of learning and another, and extend their imaginations. That’s why they are allowed to explore sound through music and dance and movement. Imagination is encouraged through role play, and ideas are supported by adults to help organize thoughts and feelings. By emphasizing these areas, through both self-discovery on the part of children and guidance from skillful teachers, EYFS has achieved its aim of setting robust standards for learning and development in the early years. And given the clear connection between early childhood education and future academic success, it is likely part of why the United Kingdom continues to outpace the United States in education. This is one of the reasons that, when we decided to open Wetherby-Pembridge New York — a first-of-its-kind British independent school in New York City — we knew we wanted to incorporate EYFS into our programming. The goal of Wetherby-Pembridge has always been to combine the rich culture of New York City with the academic rigor of English curriculum, including EYFS. In doing so, we believe we can best achieve our goals of enriching our students’ interactions with the outside world while empowering them to succeed in the classroom. And our larger hope is that our incorporation of these standards will serve as a model to other early education programs across the city — and beyond. Pre-K is critical to our children’s future. But it is just as crucial that we understand that simply offering pre-K is not the final step — we have to make sure this service fully meets our children’s needs. By adopting EYFS, pre-K programs across the United States can do exactly that. Kate Bailey is the head of school at Wetherby-Pembridge New York.